On the rooftop of the world. I have a confession to make. For several years, I’ve harbored the weirdest obsession…Mt Everest. I will literally read, watch, or listen to ANYTHING I can get my hands on about this mountain and people’s attempts to summit it. The Discovery Channel show Everest: Beyond the Limit is totally a top 10 TV moment for me. (And I’m like the QUEEN of obscure reality TV programming.) I’ll also venture down the rabbit hole about other Himalayan peaks and press play on a documentary about K2 faster than you can say “acclimatization.” I even OWN an anthropology textbook about sherpas. What is my life? 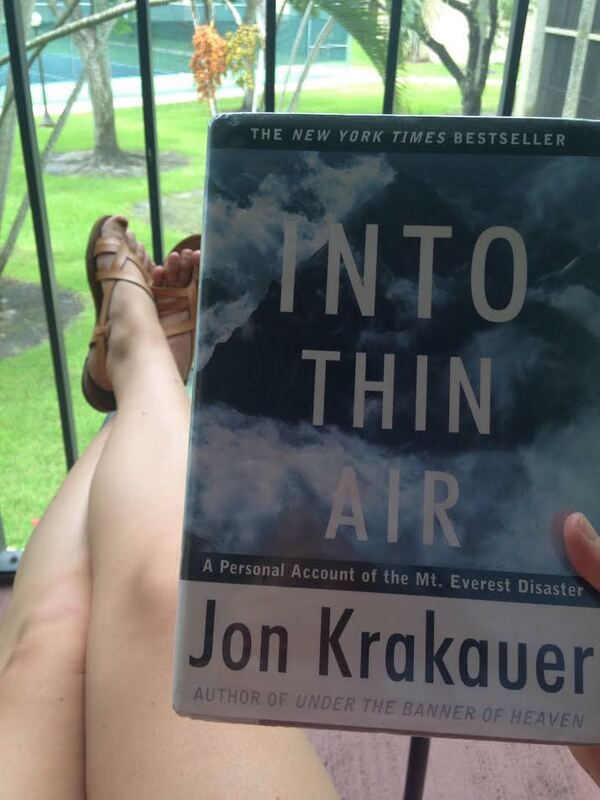 This is all to say that I can’t believe it took me so long to read Jon Krakauer’s book Into Thin Air! I’ve read a lot of articles and seen multiple documentaries about the tragic 1996 Everest climbing season but this book was a fascinating, in-depth look at the chain of unfortunate events that occurred. I finished it yesterday and then proceeded to get lost in a web of Wikipedia and news articles from the late 90’s. The obsession continues, you guys. P.S. This movie is also about what went down in ’96.